G & F Tire & Kwik Tube in Regina provides several services for cars, trucks, and commercial vehicles. We have a tire shop with a large inventory of gently used tires, which can save you significantly over purchasing brand new tires. G & F Tire & Kwik Tube also buys your used tires, offering cash on the spot for any tires we can resell. Bring in the tires you wish to sell and we’ll inspect them, giving you an offer within a few minutes. From a small compact car to large pick-up trucks, we have the tires you need to replace one or all four tires. We carry top name brands such as Goodyear, Michelin, Continental, and many others. 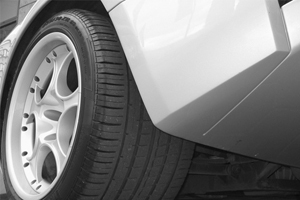 Whether you’re looking for comparable tires to what’s currently on your vehicle or you want increased gas mileage, better traction, or more durability, our garage has the tires you need. 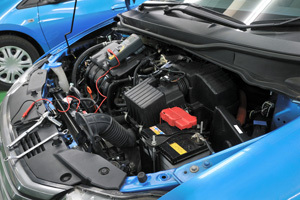 Our mechanics also offer minor engine tune-ups in Regina for any car or truck. Minot tune ups include spark plug replacement if needed, inspection of the belt timing, and visual inspections of the air filter, cap, rotor, and plug wires to determine if they need replacement. A minor tune-up also includes visual inspection and top-off of fluids, including transmission, power steering, radiator, and brake fluid. If any additional repairs or concerns are found during the tune-up, G & F Tire & Kwik Tube will consult with you to schedule additional repair services as needed. Our quick lube services include an oil change, in addition to checking, changing, inspecting flushing, and filling of all your fluids. 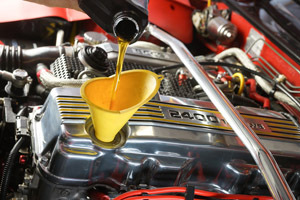 We cater our oil change services to vehicles with high mileage, using a specialized formula to restore lost compression. Choose from synthetic blend or full synthetic oil. We will also change your oil filter. Our mechanics will have you in and out in 30 minutes or less. G & F Tire & Kwik Tube also works with car exhaust systems, including muffler repair and replacement. 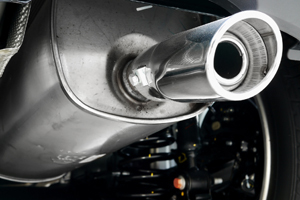 Whether you need to repair a cracked or loose muffler, restore rusted surface areas, or completely replace your exhaust system, we have the parts, equipment, and expertise to get your car burning clean and running quietly again. Our auto repair shop in Regina also provides commercial fleet service, which includes specialized oil changes, tune-ups, exhaust repairs, and more for large commercial trucks and service vehicles. Bring in one or multiple vehicles; we can handle any size project. 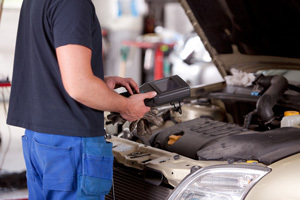 We provide inspections, clutch adjustments and preventative maintenance. You can count on G & F Tire & Kwik Tube to keep the vehicles you need to run your business, running smoothly.